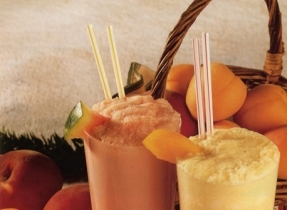 In a blender, combine all the ingredients of the yellow smoothie including Ricotta and milk until smooth and creamy. Pour into 6 glasses, filling them halfway. 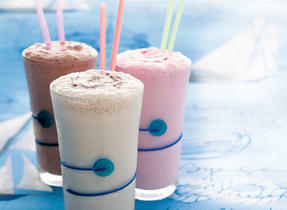 Combine all the ingredients of the pink smoothie in the blender until smooth and creamy. 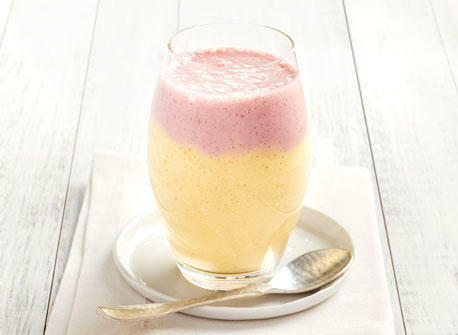 Slowly pour the pink smoothie on top of the yellow smoothie to fill the glasses.